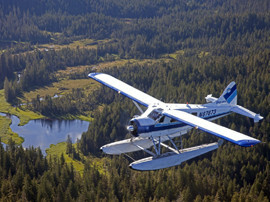 By sea and then by land, Alaska offers a wonderfully unique experience that exhilarates you with each and every glance. You’ll experience the true “northern exposure” as we journey to Anchorage, Alaska’s most spirited cosmopolitan city. Take the train up to the quaint town of Talkeetna and enjoy nature by boat, float plane or foot. Travel to Denali National Park, home to Mt. McKinley, the highest mountain in North America. 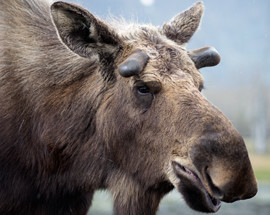 This six million acre national park is home to the greatest collection of moose, grizzly bears, caribou, Dahl sheep, wolves, eagles, and other incredible wildlife. Lastly, journey to Fairbanks where you will have the chance to meet an Iditarod racer and her dogs before exploring the city prior to your flight home tonight. Extend your Alaska cruise and experience all that this majestic region has to showcase! Leave our ship and transfer as a group from the pier in Seattle. Fly from Seattle to Anchorage (not included in rate). Arrive into Anchorage, Alaska’s largest city. 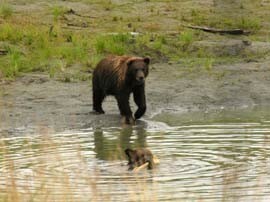 Upon arrival into Anchorage you will be met by our local Tour Director, and transfer to our centrally located hotel. Enjoy the day exploring Anchorage. There’s lots to see and do. Tonight, we’ll gather together for an AJ Shabbat service. Then, enjoy a leisurely night on the town when you’ll have an opportunity to sample some tasty treats at one of the many local restaurants that make up Anchorage. A deposit of $300 is due with your reservation. Final payment is due on April 13, 2018. Please note – This is a group exclusive vacation package. We are unable to make any of our package components available to anyone who is not part of our Amazing Journeys group. All cabins where we provide roommate matches are non-smoking. Items listed on this website are subject to change at any time. By providing payment you agree to the terms and conditions as outlined in this brochure. Cancellation Policy for the Cruise, Pre-Cruise and Post-Cruise Package: Prior to March 27, 2018, there is a $75 penalty for cancellation. From March 28 – May 10, 2018, the cancellation penalty is the amount of the deposit for the cruise, pre-cruise and post-cruise package. From May 11 – June 5, 2018, the cancellation penalty is 50% of the total for the cruise, pre-cruise and post-cruise package. Cancellations made on June 6, 2018 or after and “no-shows” will receive no refund. There is no refund in the event of interruption or cancellation after the start of the cruise, pre-cruise and post-cruise. Travel protection is highly recommended. Information will be sent with your cruise confirmation. Air and Transfers: Airfare has not been included in the cruise rates. Optional transfers to and from the ship will be available and details sent closer to the sailing date. Airfare should not be purchased until you receive your confirmation letter with specific flight perimeters. Port taxes, Government Fees and Gratuities: Port taxes, government fees and gratuities have all been included in the rate and are subject to change. Celebrity Cruises may impose a fuel supplement on all guests if the price of West Texas Intermediate fuel exceeds $65 per barrel. Amazing Journeys reserves the right to pass along these fees. The cost will be no more than $10 per guest / per day for a maximum of $70 for the cruise. Proof of Citizenship: Passengers must present a valid passport (valid for six months beyond the last date of travel) to board the vessel. Non-U.S., Canadian or EU Citizens may be required to have visas. Dining Preference: Late Dining has been reserved for our group on this sailing. In addition to the main restaurant, there are several specialty restaurants (fees apply), a buffet and room service.